Sometimes you have to eat almost alone. Jypyä Pop (Turku, Finland) on 20 February 2016 in Animal & Insect and Portfolio. Oh, that's a big beautiful guy. Great shot! @Steve Rice: Thank you. 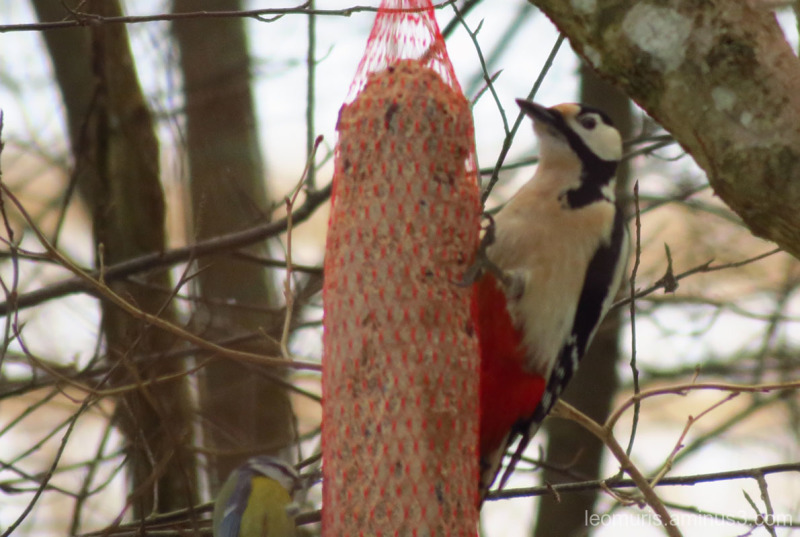 This is Great Spotted Woodpecker. It is quite common in this region. Très admirative je suis. Chez nous on en voit très peu. Beautiful bird . Superb capture ! IS this some kind of woodpecker? A beautiful close view! @Ruthiebear: We call it Käpytikka. Its English name is great spotted woodpecker. It is a fairly common species in Finland.